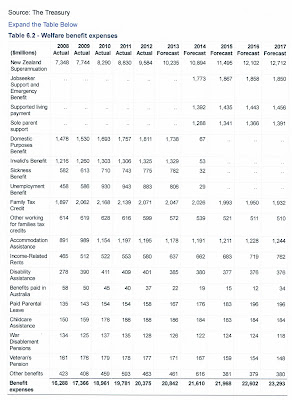 Below are welfare benefit expenses projected to 2017. Note that the table accommodates the benefit changes from Unemployment, Domestic Purposes, Sickness and Invalid benefits to Jobseeker Support, Sole Parent Support and Supported Living payment. Interesting though that the forecasts are for pretty much unchanged expenditure from actual total of $4.794 billion in 2012 to forecast $4.697 in 2017. Repeal the carbon tax, and don’t replace it (if it is replaced by another costly scheme, most of the benefits will be undone). c) Encourage the construction of dams. Criminologist Greg Newbold’s recent remarks on Maori’s over-representation in violent crime statistics reminded me of another. A 2007 Corrections report found, “… over 16,000 Maori males currently between the ages of 20 and 29 years [over 30% of that age-band] have a record of serving one or more sentences …” Also noted was the over-representation of Maori victims because “… much crime occurs within families, social networks or immediate neighbourhoods.” This was called a “catastrophe” for Maori. Lexie and I are off to parliament to join other Beagle owners as a petition asking the government to rule out testing recreational drugs on animals is presented. 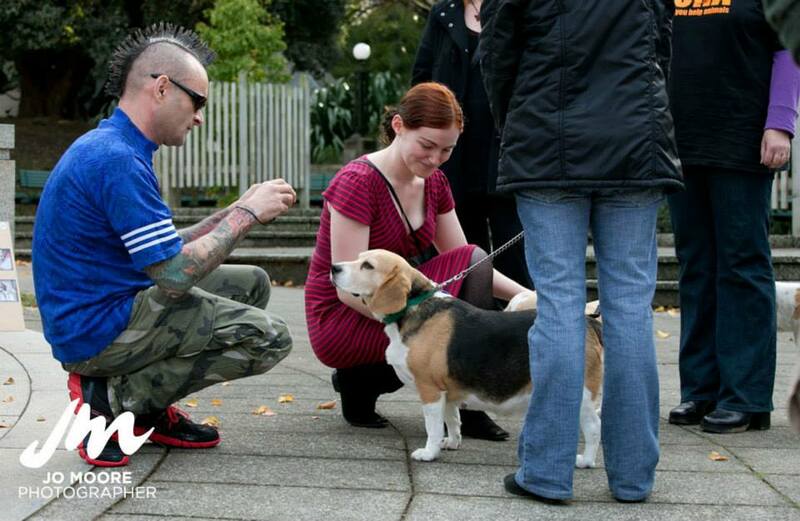 I'm not heavily involved in this campaign but can't see any case for using Beagles (chosen for their gentle easy- to- handle nature) to keep recreational drug users safe. Couldn't those who like to experiment with drugs, inherently risk-takers, test them personally? No Minister. No Peter Dunne. 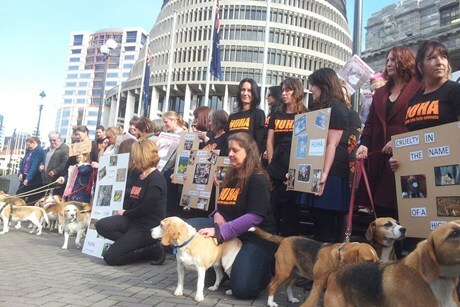 Green MP Mojo Mathers accepted the petition and she sent apologies on behalf of John Banks who also strongly opposes but couldn't attend. Some coverage here. 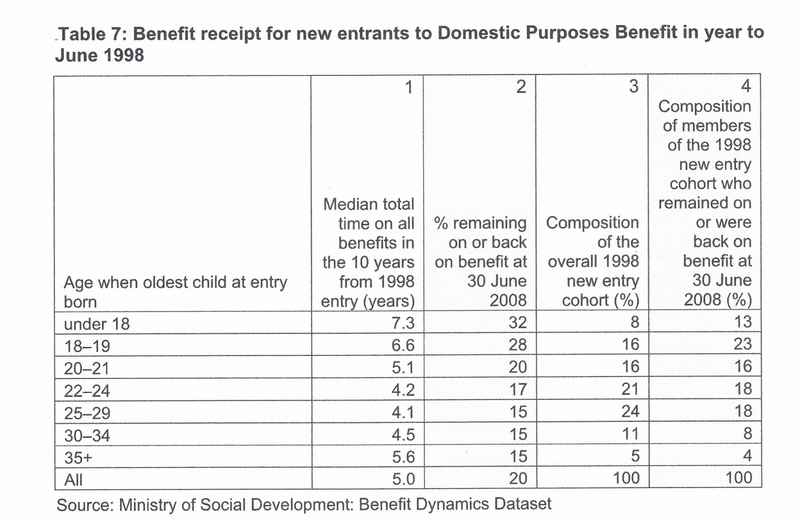 1 in 5 of those single parents who went on the DPB in the year to June 1998 was still on it (or back on it) ten years later. 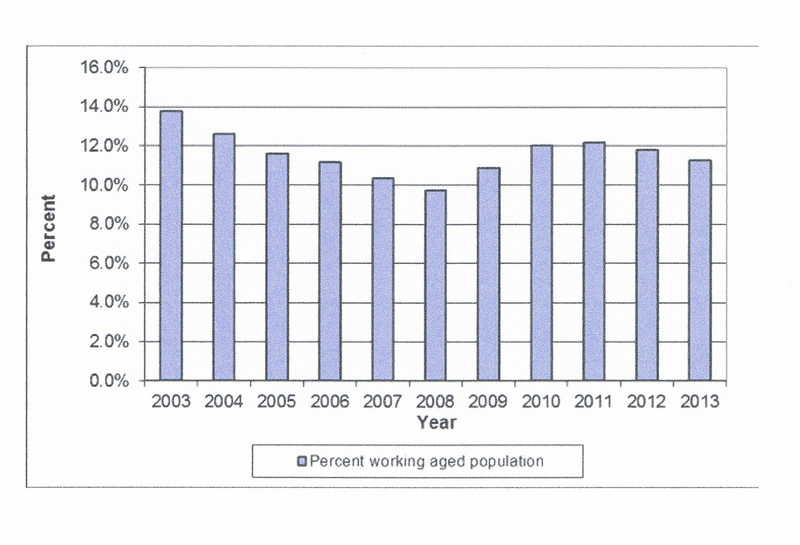 Almost one in three of those who'd had their first child under 18 were still dependent. 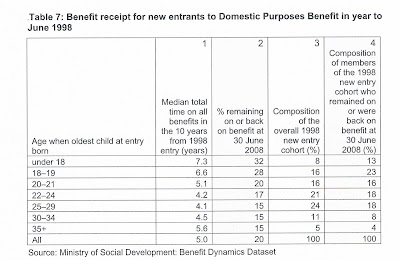 If we could identify the long duration group early in their benefit history and turn that history around, the benefit savings would be great, possibly sufficient to support a greater up-front investment in assisting people to secure sufficient incomes to become and remain independent of the benefit system than has been contemplated in the past. That's what the later research does and why National's reforms have targeted very young entrants. Came across this snippet from 1938 which showed a voter turnout in Wellington of 89 percent. "...a surprising number of people on the rolls for the six Wellington seats and Hutt did not record their votes in the General Election October 15." Did the writer express surprise because the turnout was lower than previous? Today's Wellington and Hutt electorates voter turnout is 81 percent. Rodney Hide hosted Sean Plunket's Radio Live show on friday and from 11am Roger Douglas and Peter Conway (Council of Trade Unions) discussed the budget. 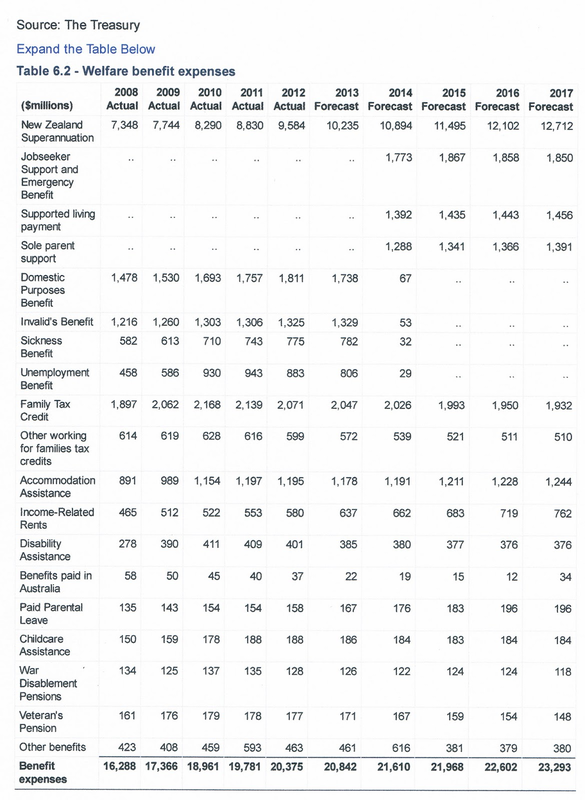 But it developed into a more far-reaching debate about the real problems facing NZ, especially education and welfare. Does poverty cause dysfunction or vice versa? Roger kept returning to education and the need to get it right for Maori. Conway insisted that the public schools were fine but the homes that the failing kids came out of were the problem due to poverty and unemployment. Roger used an example of a Ruatoria school run by Maori, with children mainly from beneficiary homes, that is apparently getting great results whereas the next door public school is not. The kids from the private school go on to tertiary education, the kids from the public school don't. On welfare, Conway was adamant that when jobs were available people took them. He specifically talked about the reduction in the numbers on unemployment benefit dropping from 162,000 to 17,000 which showed that "When the jobs were there people took them and so only a very tiny number didn't...human characteristics didn't change....what changed was the opportunity and availability of work." And that all happened under Labour's investment approach. Sounds great except the total number of people on benefits dropped from 1 in 7 to 1 in 10. Not a very tiny number. 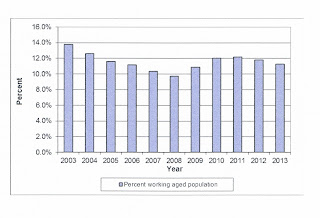 As Roger pointed out quite a lot of people moved onto incapacity benefits which continued to rise throughout. If that is the best that can be achieved under a Labour government it leaves a lot to be desired. You can pick up the interview here. It's covered over the four quarters from 11am to 12am, Friday May 17. Rodney does a great job on radio. This is the kind of discussion I want to hear. And judging from caller's comments to him, so do others.